Anne Boleyn is Henry VIII’s most famous wife. But who was she before she met Henry? The life of the second wife of King Henry VIII, Anne Boleyn, is a figure shrouded in mystery. Embroiled in a scandalous marriage, she was the sister of her husband’s mistress and came from a family of humble origins. Missing parish records and conflicting early accounts have cast doubt over Anne’s birth date, something which historians have fiercely debated. For such a famous queen, remarkably little is known about her early life, about the woman who was to become mother to Elizabeth and meet a tragic end. I struggled to know what to make of this essay. By the end, I didn't feel I understood Anne's early life any better than before since the focus seemed to be less on providing answers than discrediting those who had already posited theories. 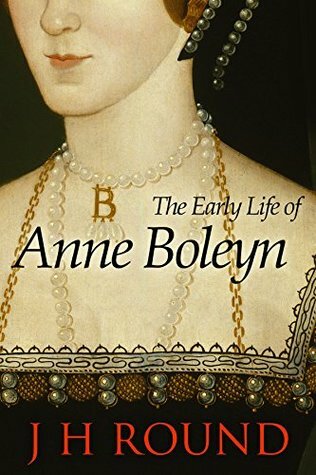 The Early Life of Anne Boleyn is not for the general reader as it supposes a reasonable knowledge of events and people, and the footnotes do not help much in that regard. If you have not previously read extensively in this area, then this is not the book with which to start. For scholars it might prove useful since it shows the flaws in other historians' suppositions, but I cannot see much value for the average reader who is simply looking to learn more about the period and its people.